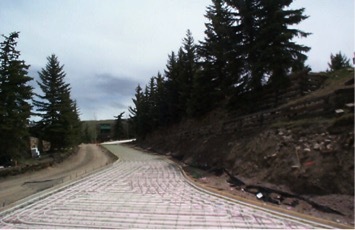 Upper Snowmelt Road was constructed in Snowmass Village, CO. This design build project consisted of demolition and reconstruction of approximately ½ mile of snowmelt road. 1 mile of storm drainage pipe was installed, water and sewer improvements were completed, and 2 travel lanes were constructed complete with snowmelt tubing, and opened to the traveling public in just 6 weeks. Snowmelt sidewalks, parking entrances, landscaping, and mechanical rooms were constructed upon opening the road to the public.